Machinists union members have ratified a new contract with Chicago-based Boeing. That ends an eight-week strike that cut the airplane maker's profits and stalled jetliner deliveries even as world demand was surging. 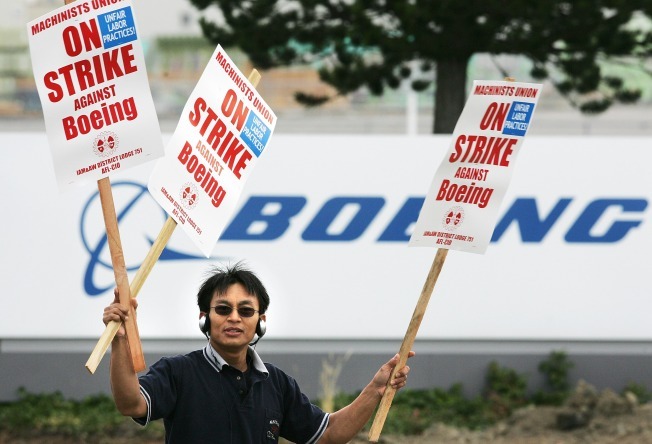 Workers are expected to return to Boeing's commercial airplane factories starting tonight. Factories have been closed since the Sept. 6 walkout. Yesterday's vote by members of the union was about 74 percent in favor of the proposal. It happened five days after the two sides tentatively agreed to the deal and union leaders recommended its approval. The union represents about 27,000 workers at plants in Washington state, Oregon and Kansas. A union spokesman says the contract recognizes the need to act with foresight to protect the next generation of aerospace jobs. A Boeing representative says the company is looking forward to resuming the work of building airplanes for customers.